LEATHER SPACER Make your own Arrow Bag!!! 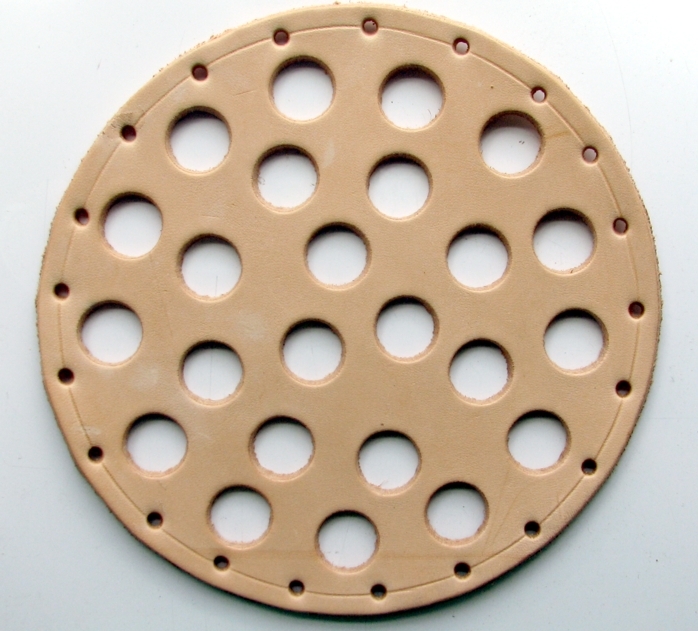 As the finds from the Mary Rose, these spacers have 24 holes roughly 5/8" in diameter, the diameter of the spacer is roughly 6 1/2", good thick/stiff leather with sewing holes already punched around edge as you can see from the image. Shade of leather will vary to that shown in picture as they are all hand made. See our shop for an example of a complete arrow bag with one of these spacers fitted.